Children are so precious to Jesus, and we are so blessed to have families with children, at Light of Christ. They are so important to everything we do here. In order to bring children into the Church in a way that speaks directly to them, we offer a variety of different services. 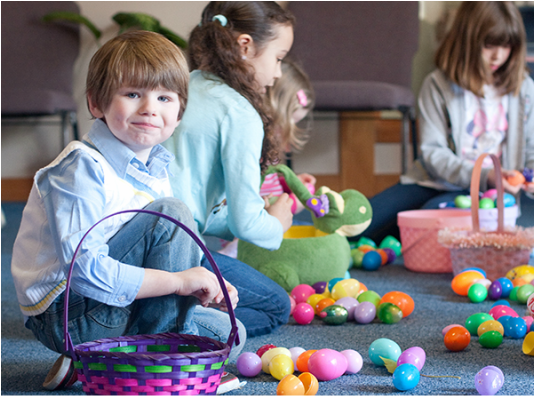 Kids ages 3 through 5th grade are invited to join their friends and families for fellowship and fun at monthly events including movie nights, dancing, bowling, carnivals, game nights, talent shows, egg hunts, and more! VBS is a four-day summer Bible camp focusing on theme-based Bible teachings including fun and in-depth sessions of music, craft, games and other activities. Sunday School is a 45 minute, age-appropriate Bible focus for children from Preschool through 5th Grade offered at 9:00, beginning directly after early service. Children’s Church is a 15 minute mini-lesson geared toward the attention span and interest level of children in Preschool and Kindergarten. Children’s Church is offered at the 10:00 service during the time that Pastor’s sermon is being delivered to the congregation as a whole.